Stance offers a complete line of behavioral health, patient room furniture, Exam/Treatment tables, dining tables and seating. We invite you take a close look at the broad range of products suited to virtually all areas of the healthcare marketplace, including hospitals, nursing and retirement homes, continuing care facilities, medical clinics and general practitioners’ offices. This is what we call our “Single Source Solution”. Patients will be at ease knowing their valued personal belongings have a home. At Knú Healthcare, a patient’s needs come first, and even the smallest details aren’t overlooked. Knú Healthcare’s extensive offerings of healthcare casegoods and overbed tables, paired with the La-Z-Boy Healthcare line of seating, bring comfort, style and practicality to any clinical setting. 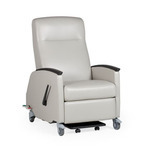 Knu offers a complete line of patient room furniture, power/lift seating, recliners and lounge seating. Knú Healthcare will complement the extensive seating offering found in La-Z-Boy Contract Furniture. Knú, LLC is proud to launch its extensive line of healthcare casegoods and overbed tables, offered in association with La-Z-Boy Contract Furniture. Knú Healthcare products offer storage solutions designed with the patient in mind. Our unique, original designs include a diverse and attractive collection of bedside cabinets, dressers, wardrobes, TV cabinets, headboards, foot-boards and over-bed tables. All Seating offers a comprehensive line of seating. Since we spend the majority of our day, every day, sitting in a chair, our sole focus is to design solutions that make being in the seated position more ergonomic and more productive. Since 1982, we’ve developed a reputation for quickly adjusting to the changing needs of customers in the office, educational and healthcare sectors. Hekman Contract offers a complete line of patient room casegoods, tables and seating. 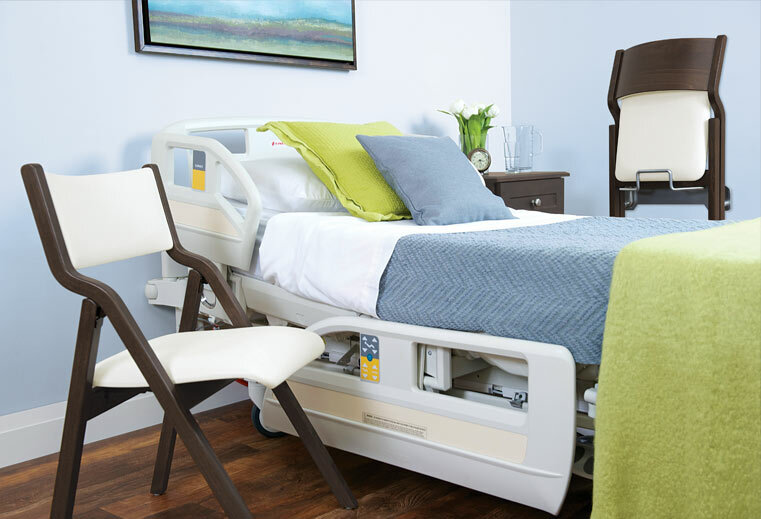 Hekman Contract’s healthcare furnishings have been developed, designed and engineered to meet the specific needs of healthcare and assisted living facilities. They have a complete line of bariatric seating options.